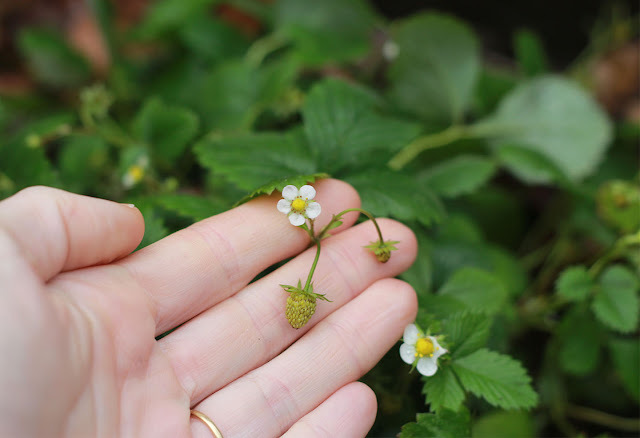 The Alpine strawberries. In winter. I doubt they will ripen, but this is a sign of the winter we are not having. It did turn colder on January 1st, and on our Frigid Forage in Central Park snowflakes fell just as we stopped for our picnic, on a hilly spot. The hot mushroom soup seemed welcome. We toasted the new foraging year with hard apple cider and spicebush cordial cocktails - tentatively named Hair of the Alpaca, by a foraging friend who is familiar with my wish for a pet alpaca to carry my snackpack. Foraging Tour - Brooklyn Bridge Park.